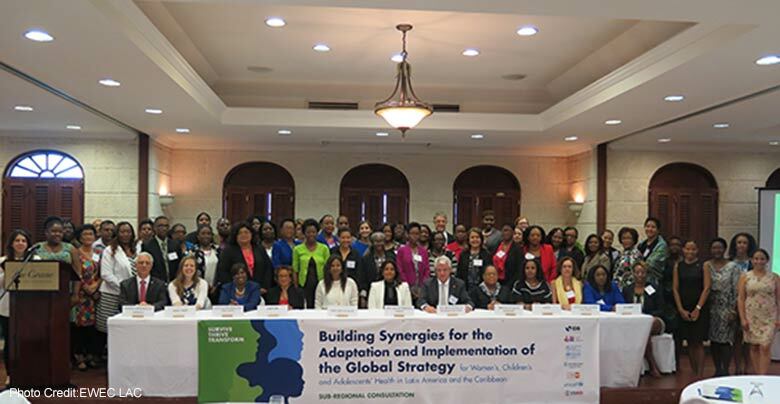 Building Synergies for Implementation of the Global Strategy (GS) for Women’s, Children’s and Adolescents’ Health in the Caribbean. 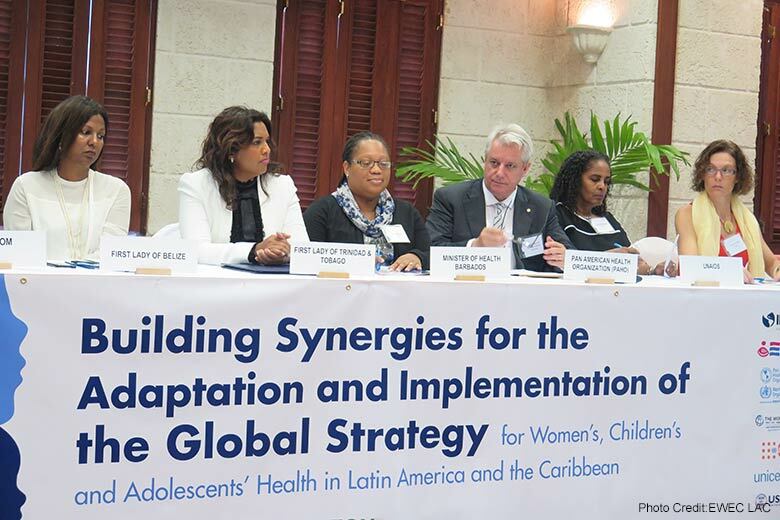 On June 1-2, 2017 in Barbados, a Caribbean Subregional Consultation was held on Building Synergies for Implementation of the Global Strategy (GS) for Women’s, Children’s and Adolescents’ Health in Latin America and the Caribbean. The meeting was hosted by multiple agencies including PAHO/WHO, IDB, UNFPA, UNICEF, USAID, UN Women, and the World Bank. 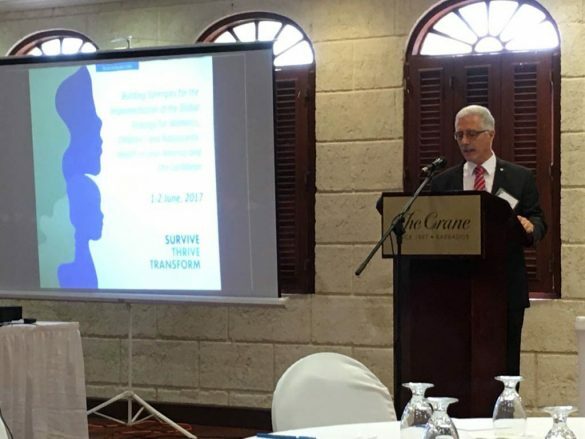 The goal of the consultation was to arrive at a common multi-sectoral understanding of the Global Strategy and its implications in the context of the Caribbean through the achievement of the following objectives: present the Global Strategy and discuss its implementation in the Caribbean context; formulate recommendations for adaptation and implementation of the Global Strategy at the sub-regional and national level in the Caribbean; present the Global Strategy’s equity monitoring framework within the context of Latin America and the Caribbean and to generate inputs to improve accountability; and facilitate alliances between stakeholders working on women’s, children’s and adolescents’ health in the Caribbean. 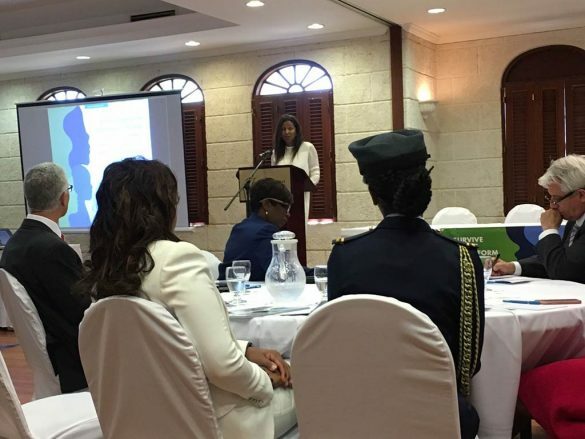 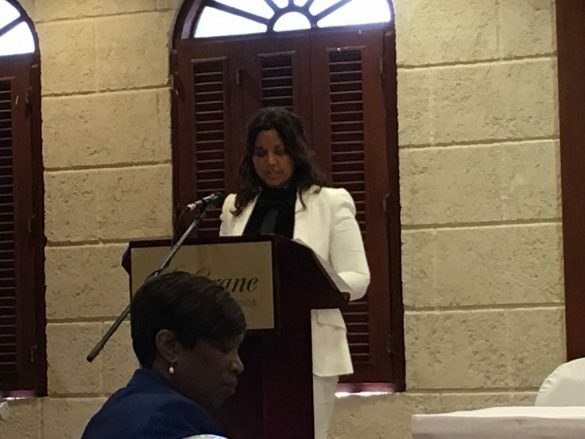 The meeting had regional support from the highest political levels through the participation of two first ladies: Her Excellency Reema Carmona, First Lady of Republic of Trinidad and Tobago; and Her Excellency Kim Simplis Barrow, First Lady of Belize and Special Envoy for Women and Children. The first ladies gave powerful remarks sharing on their flagship initiative Every Caribbean Woman, Every Caribbean Child (ECWECC) and sharing their perspectives on a myriad of issues ranging from: unacceptably high teenage pregnancy rates; the urgent need to address preventable cervical cancer; access to hospice care; regional drug approvals processes; the urgency of NCDs; lifestyle changes; childhood obesity; and the critical importance of nurturing and developing child advocates. 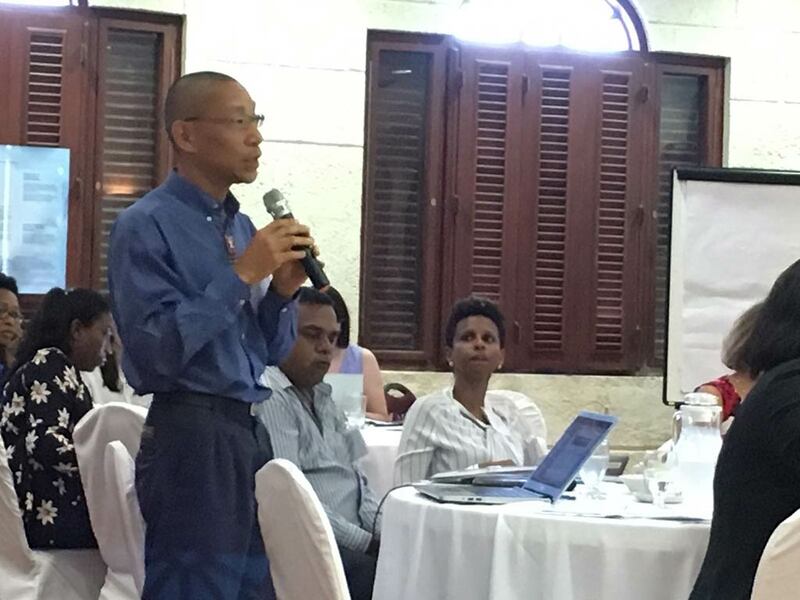 The two days of consultation will end with consensus around a collective agenda for regional GS implementation. The HCC is committed to support CARICOM countries as they seek to implement the GS strategy in particular through the lens of prevention and control of NCDs including a reduction in cervical cancer and the the prevention of childhood and adolescent overweight and obesity.